What causes a norovirus infection? How are norovirus infections transmitted? What are norovirus infection symptoms and signs in adults, children, and babies? What is the incubation period for a norovirus infection? How long are people infected with norovirus contagious? How is a norovirus infection diagnosed? What is the treatment for norovirus infections in adults, children, and babies? What are possible complications of a norovirus infection? What is the prognosis of a norovirus infection? Is it possible to prevent norovirus infections? Is there a norovirus vaccine? Where can people get more information about norovirus infections? Norovirus is a small virus that is highly contagious among humans. People acquire the virus by ingesting material contaminated with small amounts of infected feces or fluids. Food and water may be contaminated during processing or handling. Noroviruses are the most common cause of gastroenteritis in the United States. The illness usually lasts two to three days and resolves by itself. There is no specific treatment for norovirus, but it is important that infected people stay well hydrated. Fluids containing sugar and electrolytes should be encouraged. Intravenous fluids may be needed if the person cannot maintain an adequate oral intake of fluids. Complications are usually related to the degree of dehydration. Young children and the elderly are at special risk for dehydration. 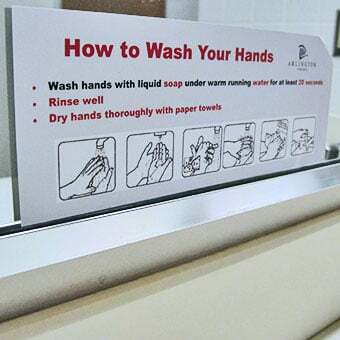 Because the disease is highly contagious, it is important for caretakers to clean their hands whenever they come into contact with the ill person or their environment. The risk of food-borne outbreaks or outbreaks within hospitals or nursing homes may be minimized by following established standards that include hand hygiene; soap and water are advised, as alcohol-based hand cleaners are not very effective against noroviruses. Norovirus Infection: A Cause for Travelers' Concern? Many people may not be familiar with the term norovirus, but it's actually a relatively new term for an old disease. The many strains of noroviruses cause a self-limited gastrointestinal illness that many refer to as the "stomach flu." Outbreaks of norovirus infection have also been documented as coming from restaurants, schools, and nursing homes. A norovirus is a small virus that contains RNA and is surrounded by a protein coating. By sequencing the RNA, scientists have discovered that there are many different types of norovirus. Originally, strains were named based on the city in which they were first identified. 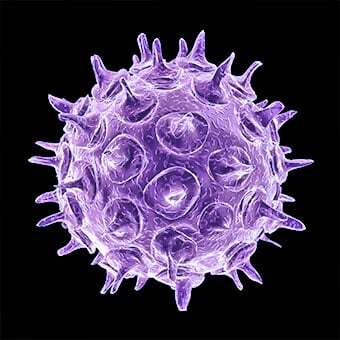 Thus, one common strain used to be called Norwalk virus. Based on genetic typing, we now know that there are at least 25 different strains of norovirus that affect humans. The RNA genome in noroviruses easily mutates to produce new norovirus types. The disease occurs worldwide with peak occurrence from about November until the end of May in the U.S. Therefore, the infection is sometimes termed "winter vomiting disease." Norovirus infection is the most common cause of gastroenteritis outbreaks in the U.S. Although some people call this the "stomach flu," norovirus is not related to the influenza virus. According to statistics from the U.S. Centers for Disease Control and Prevention (CDC), there are 19-21 million cases of norovirus infection annually in the U.S., of which one-quarter are related to food-borne outbreaks. Norovirus infections annually cause about 570-800 deaths in the U.S., mainly in young children and the elderly. Outbreaks occur throughout the year but are more common in the winter months. There is no specific treatment for norovirus. Fortunately, the disease is self-limited and simple supportive measures are sufficient to care for most people unless they become dehydrated. Outbreaks of norovirus can occur almost anywhere in the world. In 2012, a new strain named GII.4 Sydney was identified. Since the first outbreak, the virus was quickly detected in New Zealand, France, and the U.S. A new outbreak of norovirus occurred at Yellowstone National Park, causing illness in about 200 visitors and camp employees in June 2013. A new strain of norovirus has been detected in southern China and is designated as GII.17. Unfortunately, the virus has mutated enough that most people will not be immune even if they've had a norovirus infection in the past. Outbreaks occur frequently. In 2015, outbreaks occurred in cruise ships, restaurants, and schools. For example, the Star Princess cruise ship had at least two different outbreaks that sickened hundreds of people in 2015. In August 2015, 98 customers and 17 employees became ill due to a norovirus outbreak at the Chipotle Mexican Grill in Simi Valley, Calif. Another major outbreak also occurred in 17 schools in a Nevada school district where over 1,145 people so far have developed a norovirus infection as of October 2015. A recent outbreak occurred in England where in one week, there was a 70% increase in norovirus infections to as many as 1,336 people hospitalized due to norovirus in December 2017. Decontamination of surfaces (see prevention section below) and of objects that are likely to be touched is important as researchers have indicated that only about 10-20 virus particles are needed to cause infection. Infection occurs when humans inadvertently ingest material contaminated with small amounts of fluids or feces from an infected person. It only takes a small number of viruses to cause infection, so even microscopic amounts of feces or fluids can be contagious. An infected person with vomiting or diarrhea can contaminate their environment directly, or they may indirectly spread virus particles through aerosolized droplets when vomiting; however, the main route is by touching surfaces contaminated with the virus. Contamination may also occur in food and/or in water, which has led to infection spreading widely in restaurants or aboard cruise ships. Outbreaks in school systems occur regularly, sometimes spreading widely. The virus is very hardy and can live for days or weeks on surfaces, including clothing. Outbreaks often occur when groups of people congregate (for example, cruise ships, dormitories, schools, day-care centers). 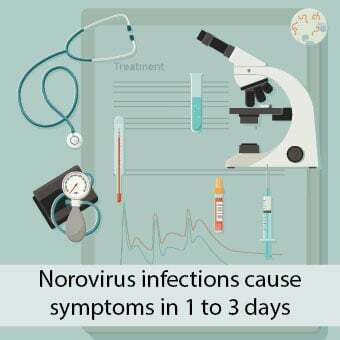 Most people get sick within one day of ingesting norovirus (range 12-48 hours) so the virus has a short incubation period. Symptoms and signs include vomiting, watery diarrhea, or both. 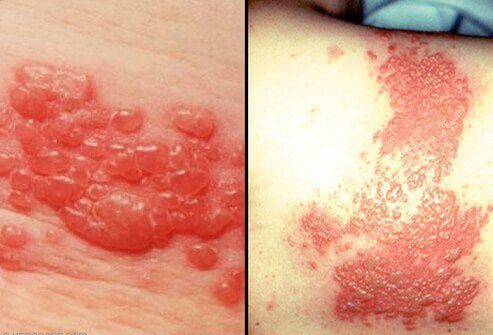 Fever occurs in one-third to one-half of infected people. Cramping abdominal or stomach pain and a general feeling of tiredness, headache, and muscle aches are common. Infected people are usually thirsty, although they may have trouble keeping fluids down. In general, if patients can orally ingest about the same amount of fluid they lose through diarrhea and vomiting, they will do well. Symptoms in adults may be different than symptoms in children. Young children and babies may not complain of thirst but may appear listless or lethargic as they become dehydrated. Symptoms may be more severe in debilitated, elderly patients or pregnant women. People who are unable to replace their fluids and develop signs of dehydration need medical care. Most people have a mild illness that lasts two to three days. In contrast to bacterial diarrheas, such as those caused by Shigella or Campylobacter bacteria, norovirus does not cause blood or pus in the stool. 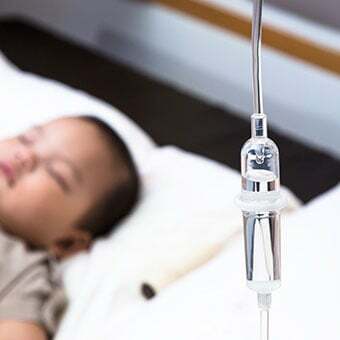 The length of infection may be prolonged in patients who are in the hospital or in young children. Norovirus has been associated with severe inflammation of the colon in newborns and with disease flares in children who have inflammatory bowel disease, but it is not yet clear what role norovirus plays in these conditions. Norovirus may have a prolonged infection period that starts even before someone gets sick. There is a short lag or incubation period (up to two days) between the time that people acquire the virus and the time they get symptoms. 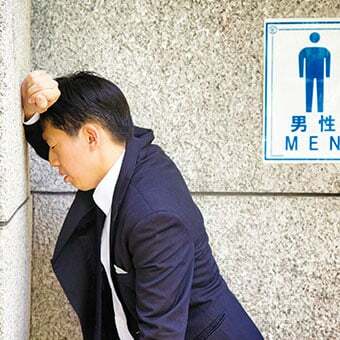 People may be contagious during this period. All people are contagious while they are having symptoms or showing signs. Although the most contagious period is over when the patient's symptoms resolve, even some people who appear to have recovered completely after a norovirus infection may continue to shed the virus for weeks in their stool and may be a source of infection to others. People with compromised immune systems (for example, those receiving chemotherapy or undergoing organ transplant) may shed the virus for months. However, in general, most individuals become noncontagious about 72 hours after symptoms have resolved. Consequently, although it may be difficult for parents to do so, children and adults should not go back to school, day care, or work until they have been symptom-free for three days. Because the symptoms of norovirus are similar to those of other common viral diarrheas like rotavirus, it is necessary to do specific tests to identify the virus. Norovirus cannot be cultured in a laboratory. 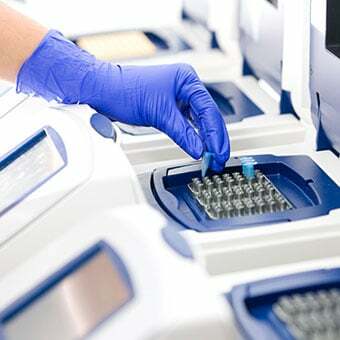 However, the RNA inside the virus may be detected directly using polymerase chain reaction (PCR) tests, and these tests are the ones that are most commonly used. Enzyme-based immunoassays (EIA) can also be used to detect the virus in stool samples. EIAs use special antibodies that attach to virus particles. In addition, the Ridascreen Norovirus 3rd Generation EIA assay is approved for use to detect norovirus when a number of people have simultaneously contracted gastroenteritis and there is a clear avenue for virus transmission, such as a shared location or food source. However, this new test is not sensitive enough for definitive diagnosis of norovirus infection in an individual. 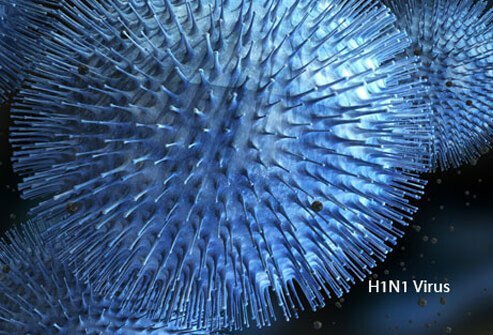 The human body makes antibodies against norovirus, and these can be identified with immunoassay testing of blood samples. Unfortunately, it takes 10-14 days for the body to make antibodies, so this test is not useful for real-time diagnosis. It is also possible to see the virus particles using electron microscopy, although this is mostly a research tool. Currently, the preferred test for norovirus according to the CDC is the PCR test. This test helps distinguish between other diseases (for example, rotavirus and Salmonella infections) that may produce similar symptoms. Once norovirus has been confirmed in an outbreak setting, it is not necessary to test every person. Rather, people with typical symptoms are assumed to have acquired the virus. There is no specific treatment or medication for norovirus. It is important that infected individuals remain well hydrated, drinking plenty of fluids. Fluids containing electrolytes and sugars should be encouraged. Over-the-counter antidiarrheal medications may be used according to directions but should be avoided in cases with severe abdominal pain or fever. Some researchers advise people to avoid these medications if possible as they may prolong the disease. Although most cases of norovirus infection are mild, complications may occur. Complications are related to the degree of dehydration. People who cannot keep up with fluid losses may require hospitalization for intravenous fluids. Approximately 10% of infected people seek medical attention. Very young children and infants are at high risk for dehydration because they cannot communicate their symptoms and because dehydration may occur rapidly. Pregnant women should pay particular attention to keeping up with fluid losses and electrolyte imbalances as these problems, if severe, may lead to preterm labor. Although norovirus infection is not fatal, it can contribute to mortality by causing underlying illnesses to become worse. 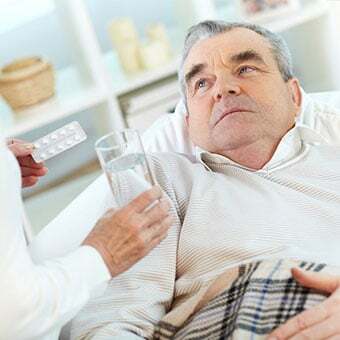 Elderly, debilitated people are especially at risk for complications related to dehydration, including kidney failure. Norovirus infection is a self-limited illness that lasts two to three days in most people. As discussed above, complications are usually related to dehydration or underlying illnesses. In some countries where poor hydration already may exist in children, many may die from dehydration if IV replenishment is not available. In 2006, the World Health Organization recommended a new prepackaged oral rehydration salts (ORS) formula that can be shipped to underdeveloped countries and simply poured into clean water that can prevent dehydration in many patients. This approach has improved the prognosis for many children in developing countries. Once a person is sick, it is important for caretakers and household contacts to use good hand hygiene. This includes washing hands after coming in contact with the person or his environment. Hands should also be washed before preparing food or touching the face. The CDC recommends washing hands with soap and water over using hand sanitizers; alcohol-based hand sanitizers are not very effective but have been shown to reduce the rate of transmission in some settings. Silverware and dishes should not be shared. Diluted chlorine bleach (5 to 25 tablespoons of bleach per gallon of water) may be used to clean solid surfaces. Other disinfectants like Lysol can help decontaminate some surfaces. Norovirus infections can be prevented by using good hand hygiene with soap and water (not alcohol solutions) and avoiding contact with sick individuals and their environment. This is much harder than it sounds. One sick crew member on a cruise ship can contaminate food served to hundreds of people. Contamination while picking fresh vegetables or fruit can lead to widespread outbreaks as the product is sold across the country. 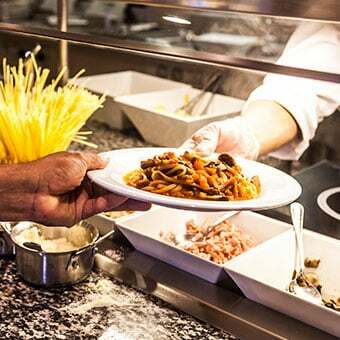 Strict hygiene standards for food handlers can help reduce the risk of outbreaks. Many investigators suggest routine washing of fruits and vegetables before serving may also help reduce or prevent infections. Noroviruses may also be spread in a hospital or nursing-home environment. The CDC has published guidelines for institutions to follow to reduce the infection rate. Hand hygiene is highlighted as the single most important component of these infection-control measures. Hospital epidemiologists and people with infection-control training should be contacted whenever an outbreak is suspected within a hospital or institution. Public-health officials should be notified whenever there is suspicion for a community-based outbreak. The major risk factor for norovirus infection is close contact with a person who has the infection or with any items they touch or on which they may cough. The risk is increased if an infected person prepares your food or lives with you and others in a relatively confined space (dorm, cruise ship, school). Unfortunately, people who get norovirus do not have immunity against future infections. Although the body makes antibodies against the infecting strain, there are many strains that cause infection. The virus constantly creates small mutations in its RNA to make new strains that evade the human immune system. Because there are many different strains of norovirus, it has been difficult to make a vaccine. However, this is an active area of research, and there are some vaccines that have shown promise in mouse (murine) models. Vaccine trials are now beginning in humans, but there is no commercial vaccine currently available. The CDC web sites listed in the references provide additional information for patients and clinicians. Glass, R.I., U.D. Parashar, and M.K. Estes. "Norovirus Gastroenteritis." N Engl J Med 361 (2009): 1776-1785. United States. Centers for Disease Control and Prevention. "Norovirus: U.S. Trends and Outbreaks." June 24, 2016. <https://www.cdc.gov/norovirus/trends-outbreaks.html>. What were the symptoms associated with a norovirus infection in you or someone you know? What was the treatment, including home care, for your norovirus infection? The stomach flu (gastroenteritis) refers to variety infections that occur in the GI (gastrointestinal tract). The stomach flu is caused by viruses (for example, Norovirus or "Cruise Ship Virus), bacteria (for example, Salmonella and E. coli), parasites (for example, Giardiasis or Giardia lamblia), medications like antibiotics, food allergies, and toxins. Common symptoms of the stomach flu include vomiting, diarrhea, nausea, and abdominal pain. Generally, the stomach flu is treated at home by treating symptoms with home remedies and OTC medication. PCR (polymerase chain reaction) is a method to analyze a short sequence DNA or RNA. PCR (polymerase chain reaction) has many uses, for example, it is used to diagnose genetic diseases, establish paternity or biological relationships, DNA fingerprinting, DNA forensics, and finding bacteria and viruses. Recreational Water Illnesses (RWIs) are caused by germs spread by breathing in mists or aerosols, swimming, or having contact with contaminated water in hot tubs, water parks, water play areas, fountains, lakes, rivers, oceans, and swimming pools. Diarrhea is the most commonly reported recreational water illness. Diarrheal illnesses are caused by germs such as Crypto, Shigella, Norovirus, E. coli, and Giardia. Prevention of water born illnesses is key to avoid infection. Avoid swallowing water and practice good hygiene habits are a must. Abdominal (stomach) pain and cramping. Symptoms and signs of food poisoning show up earlier (2 hours up to a couple of days) in comparison to the stomach flu in which symptoms may take 4 hours up to 48 hours (2 days) before symptoms begin. Medical treatment for the stomach flu and food poisoning generally is not necessary. A bland diet, drinking plenty of fluids, and rest may be the only treatment necessary.